JAMESTOWN – Local food and produce will once again be sold in downtown Jamestown starting this weekend. On Saturday the Jamestown Renaissance Corporation will launch the newly rebranded farmers market, now called The Jamestown Public Market, which will operate in the 200 Block of Cherry Street from 9 a.m. to 1 p.m. 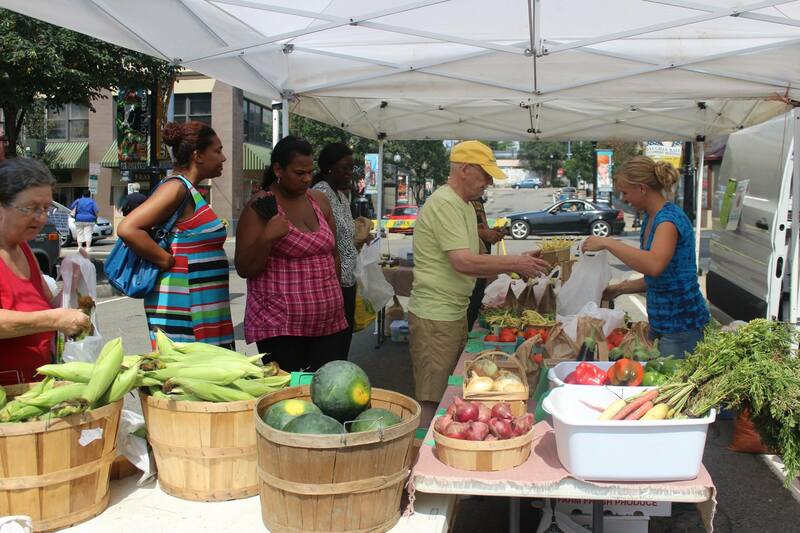 The market will be open every Saturday from now through the end of October. In previous years the market was held on Thursdays and prior to that, Fridays. The Jamestown Public Market allows local farmers, artisans, bakers and chefs to convene downtown and showcase the bounty of what Chautauqua County has to offer. The Jamestown Public Market will also feature free live entertainment from local musicians each week along with outdoor seating, food demonstrations and tastings, wellness events, and much more. For additional information, visit www.jamestownrenaissance.org or join the Jamestown Public Market Facebook page. or join the Jamestown Public Market Facebook page.